The concert of this dessert is now starting! 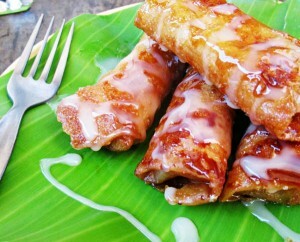 If you want to eat a banana with a twist, try this Philippine-made turon. 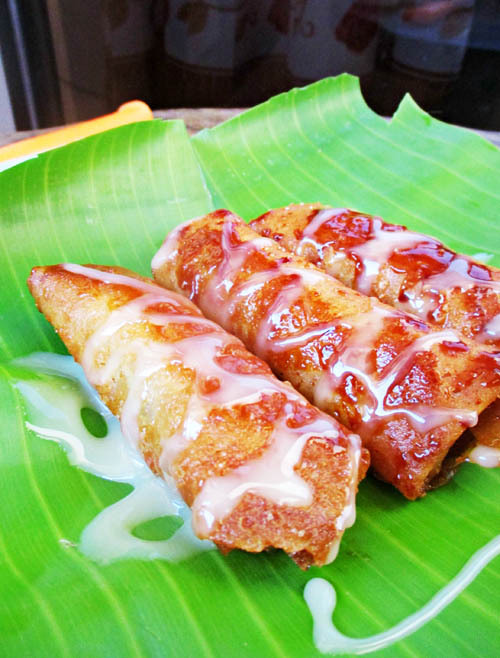 It is a dessert made of a sliced banana WRAPPED and ROLLED in a spring roll wrapper and then deep frying it. Its sweetness and its crunch sound so delightful to eat. 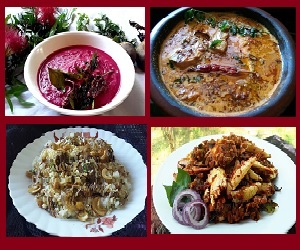 People add jackfruit too. It gives a special distinct flavor and aroma that is so attractive and sweet-smelling. It’s just a great dessert for a great meal and I’m sure you gonna love its concert in your mouth. 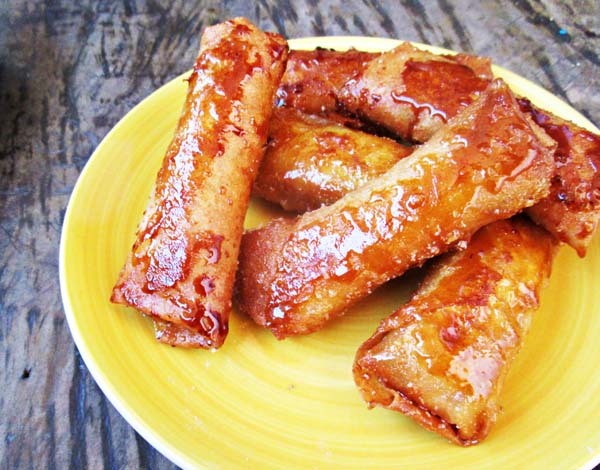 This energizing TURON can improve your health in just a bite of this which can give you a lot of benefits such as combating stress, making your brain stays bright, protects against kidney cancer, diabetes, osteoporosis and blindness. It contains a large amount of carbohydrates and yet you can have a lot of nutrients such as Vitamin A, B’s, C, iron, folate, magnesium, etc. It can change your mood too because it can overcome your depression and change into serotonin which can give you a happy mood. I used to cook this at home when we are going to have a family bonding, and it’s perfect for a snack or merienda while having a small talk or having recreational activities. When we are going to somewhere far, we just packed these appetizing Filipino banana rolls and eat them whenever we feel hungry. It’s easy to make. Just WRAP and ROLL! Yeah! You can cook it with a twist like putting chocolate syrup on top, filling with a ripe mango, or whatever you want. If you succeed on your twist, please let me know and share your experience. Prepare all the ingredients and set-up all the cooking materials; Separate the spring roll wrappers. Fold starting at the end of the wrapper together with the filling, fold the 2 sides in, and then roll up to the end. Seal by putting some water in the end. Heat up the oil over medium heat and fry it which the seal is in contact with the pan. Cook until it’s colored slightly golden brown, and then flip it over. Once it slightly browned, sprinkle sugar(at least 2 teaspoons per roll) onto the oil to caramelize and cover the fried roll. Put away the cooked one with a strainer, and place it on a plate with a table napkin on it. When it dries, put on the serving plate and share to everybody at home. Have a wonderful experience enjoying a banana’s concert! You will surely rock too. Do you have any questions? Suggestions? Or feedbacks? Just let me know and I will share my tips and experiences too. Thank you for stopping by at my blog and I hope you’ll come back.